The National Physical Activity Plan Alliance (NPAPA), in collaboration with their organizational partners, is pleased to announce the release of a new report assessing data from multiple nationally representative surveys to evaluate levels of physical activity and sedentary behavior in American children and youth, facilitators and barriers for physical activity and health outcomes related to physical activity, among 10 key indicators. The report shows only 21.6 percent of children ages 6-19 meet U.S. physical activity guidelines. Further, nearly 63 percent of children are exceeding sedentary behavior guidelines, which suggest no more than two hours of screen time per day. Tracking children's physical activity behaviors across the multiple levels of influence (policy, behavior settings, perceived environment, and intrapersonal factors) reveals how components within each level can influence active living. Preschool and childcare center should enhance physical activity. 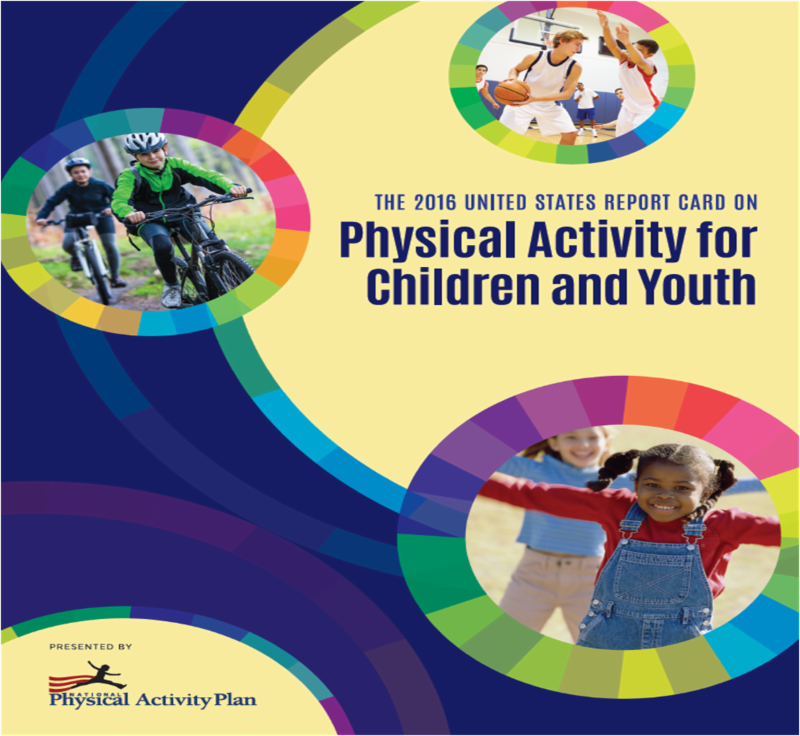 The U.S. National Physical Activity Plan provides evidence-based strategies and tactics that, if fully implemented, have the potential to substantially increase physical activity for children and youth in a variety of settings. Read more about NPAP here and access the full report below.